Preheat the oven to 200°C, 190°C fan assisted, Gas mark 6. Brown the mince and onions in a large pan. Drain excess fat. Blend the contents of sachet with the water and stir into the mince, add the carrots and peas. Bring to the boil, stirring continuously, then transfer to an ovenproof dish. 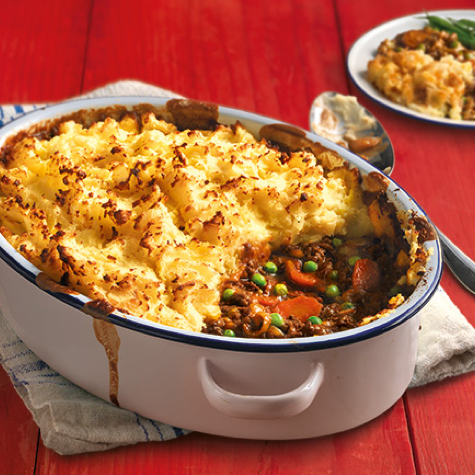 Spoon the mashed potato over the mince and bake for 30 minutes.